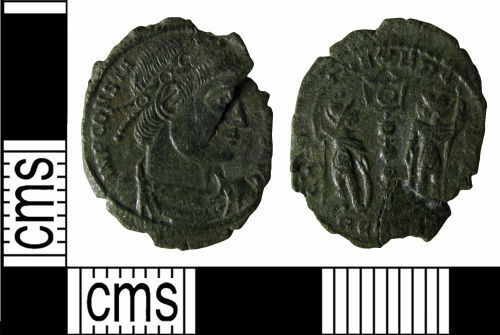 A copper alloy Roman nummus of Constantine II, dating to the period AD 337-340 (Reece Period 17), 'GLORIA EXERCITVS' Two soldiers holding one standard reverse. Mint of Arles. RIC VIII, p. 205, no. 1.